Chicago Blackhawks There are 2074 products. Make sure everyone knows you're the greatest Chicago Blackhawks fan around! 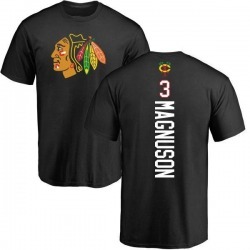 This Youth John Hayden Chicago Blackhawks Backer T-Shirt - Black is just the Chicago Blackhawks item to do it. Make sure everyone knows you're the greatest Chicago Blackhawks fan around! This Youth Patrick Kane Chicago Blackhawks One Color Backer T-Shirt - Red is just the Chicago Blackhawks item to do it. Make sure everyone knows you're the greatest Chicago Blackhawks fan around! This Youth Alex DeBrincat Chicago Blackhawks Backer T-Shirt - Black is just the Chicago Blackhawks item to do it. Make sure everyone knows you're the greatest Chicago Blackhawks fan around! 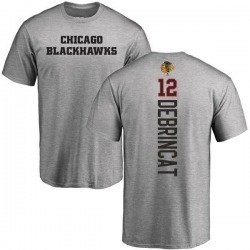 This Youth Alex DeBrincat Chicago Blackhawks Backer T-Shirt - Ash is just the Chicago Blackhawks item to do it.